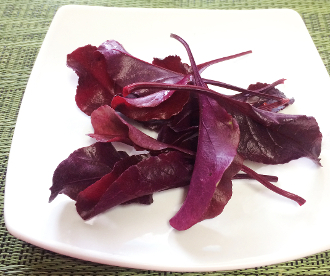 Dark Redish-Purple Petite sized Beet Tops with a fresh, sweet, earthy Beet taste. Toss in a green salad for color & flavor. Top mixed veggies & soups. Great garnish for Winter dishes.